BURNABY, BC – Advanced Intelligent Systems, a leading custom robotics company creating affordable, autonomous robotic solutions to solve real industry problems, has been named to the seventeenth (17th) annual “Ready to Rocket” list in the Cleantech sector for the second year. The annual 2019 “Ready to Rocket” lists provide accurate predictions of private companies that will most likely experience significant growth, venture capital investment or acquisition by a major player in the coming year. This year, the lists feature 203 companies across five different technology sectors. AIS’ autonomous custom mobile robots have a modular hardware platform that is integrated with a software base. It is controlled and automated through the cloud, employing IoRT (Internet of Robotic Things) expertise. This gives AIS’ robots the flexibility to customize tasks. AIS currently has 23 patents for various industry applications. “Each year when we choose the Ready to Rocket companies, we are looking for those companies that have best matched technical innovation with market opportunity. Advanced Intelligent Systems is an excellent example of the right technology for the right customers at the right time,” said Reg Nordman, Managing Partner, Rocket Builders. The “Ready to Rocket” list profiles British Columbia technology companies that are best positioned to capitalize on the technology sector trends that will lead them to faster growth than their peers. AIS started with designing a modular custom robot – called BigTop – for nurseries. BigTop is AIS’ flagship autonomous custom robot. It is designed to solve the repetitive and laborious task of moving and spacing pots within nurseries. The need for labor in the horticulture and nursery industries has been steadily climbing. However, year after year, the industry faces labor shortages. Finding workers to perform the repetitive and labor intensive tasks necessary in the horticultural and nursery industries is extremely challenging. AIS’ autonomous robot – with customizable software – provides an affordable solution. BigTop is currently in operation at one of Canada’s largest nursery operations: Van Belle Nurseries. Van Belle grows more than 400 varieties of plants on 100 acres located in Abbotsford, British Columbia. It is one of the largest nurseries growing plants for distribution all over North America. While AIS’ robots are currently working in the nursery and horticulture industries, AIS is well positioned to solve other automation challenges. The company sees this massive opportunity and is developing IP for custom robotics solutions for other industries. Warehousing, mining, surveillance, and film industries will be the first ones to benefit from these new solutions. Advanced Intelligent Systems (AIS) is a practical autonomous robotics company that creates affordable, autonomous robots to solve real industry problems. 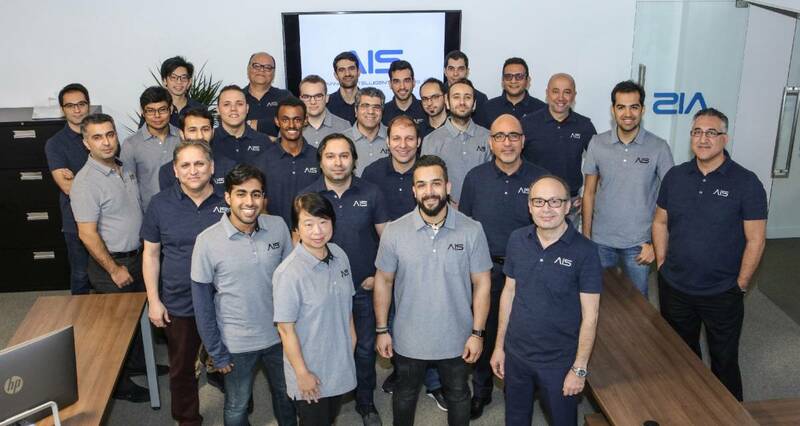 The AIS team has superior intellectual property and patents which are currently being applied to develop custom robotic solutions in the horticulture, agriculture, manufacturing, and warehousing industries. AIS’ autonomous robots have the intelligence to perform repetitive or dangerous tasks with the dexterity and precision of a human. AIS’ customizable modular autonomous platform base connects with cyber systems and, through artificial intelligence, communicates in real time. Through patented technology, AIS creates modules to add functionality to its platforms.